One of the things I enjoy most besides good wine, is a winery with beautiful views. 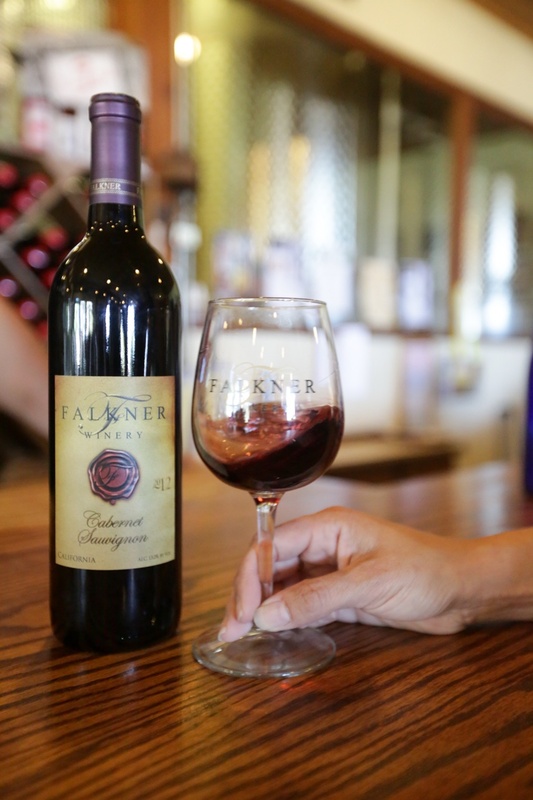 Falkner Winery is just that, a little piece of joy with panoramic views of Temecula Wine Country. The family owned and operated winery sits on top of a 1500 sq. ft hilltop crest with views for miles that won’t disappoint. 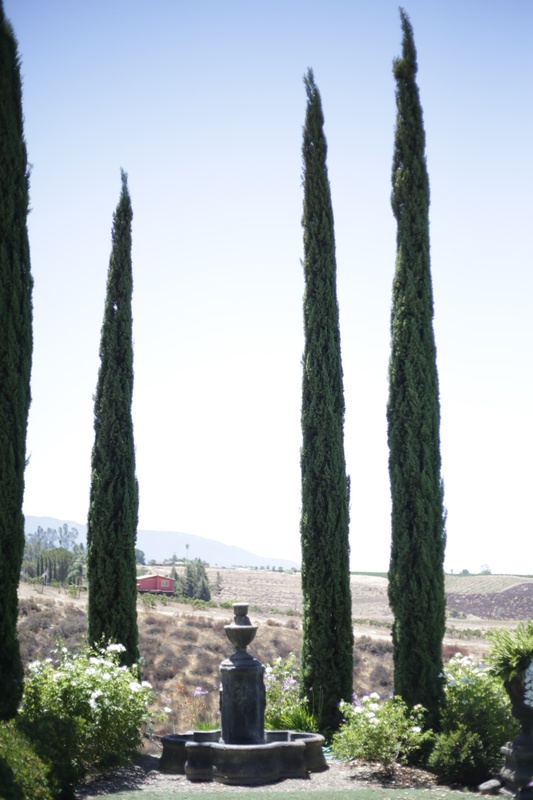 My friend and photographer, Lilia and I got to spend a lovely day at Falkner Winery several weeks ago. We spent the afternoon touring the winery with Raymond and learning all about their delicious varietals and blends. And of course, I saw Falkner’s winemaker, Duncan Williams, and decided to pose for a photo session. I was so excited when he told me that he was bottling their current 2015 chardonnay (not yet released). I couldn’t resist and I asked if I could have a taste…Yay, he let me taste it and I enjoyed every drop! I definitely recommend this bottle once its available to taste and for purchase. 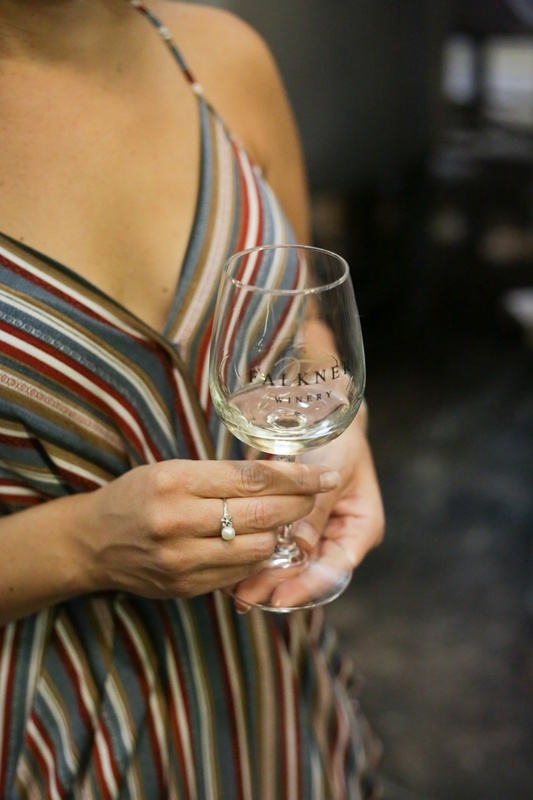 It's delicious and not as buttery like your typical chardonnay. In the meantime, their 2014 chardonnay is a must try! This chardonnay has touches of apple and lingering notes of apricot. Duncan Williams, is known for his “food friendly" and "easy to drink" wines, complimenting food well. The Pinnacle Restaurant is home to Chef, Gianni Ciciliot, who created a Mediterranean/ American style menu for the winery. All his dishes pair well with any of Falkner Wines, but a house favorite is the Lobster Mac & Cheese. The restaurant sits on the hilltop with surrounding views of the valley with open air balcony seating as a dining option. 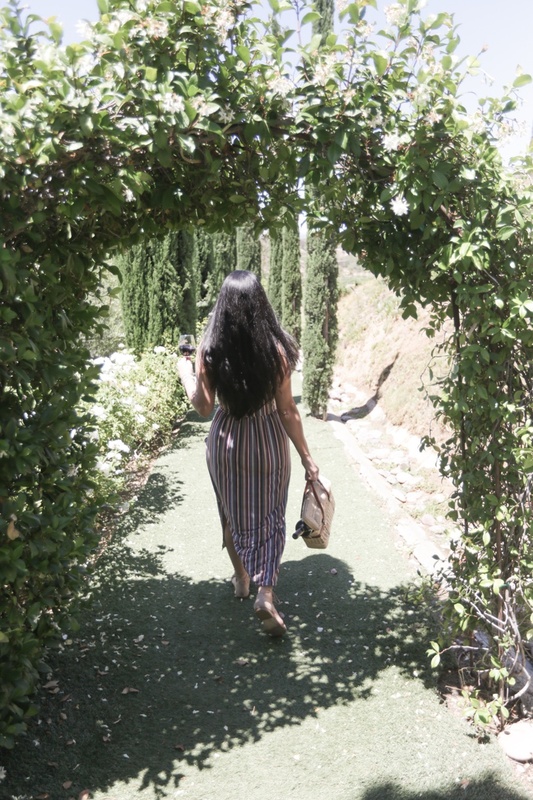 If you haven’t noticed, getting lost in the vineyards or in the winery itself, is one of my favorite things to do. 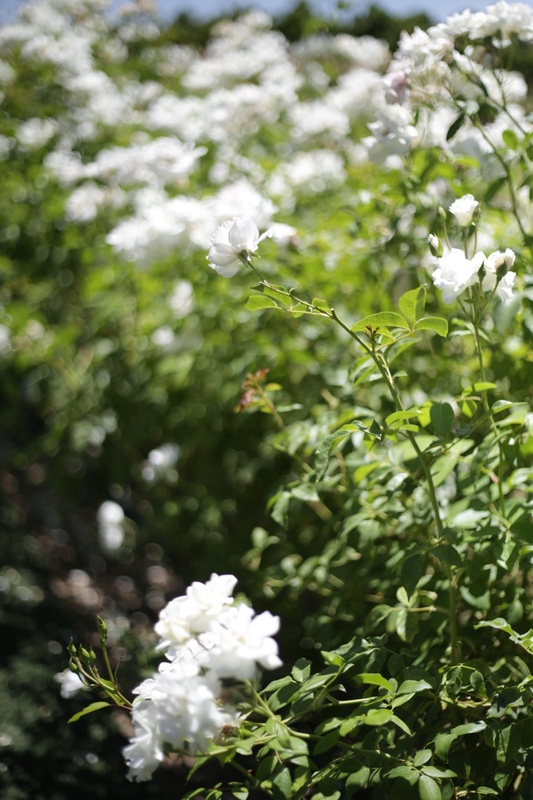 I love walking through the Pinnacle Restaurant and going down to the garden area that is perfect for weddings, pictures, or simply taking in the wine country breeze. But seriously, I love getting lost in the vineyards and playing in the vines. Who doesn't? 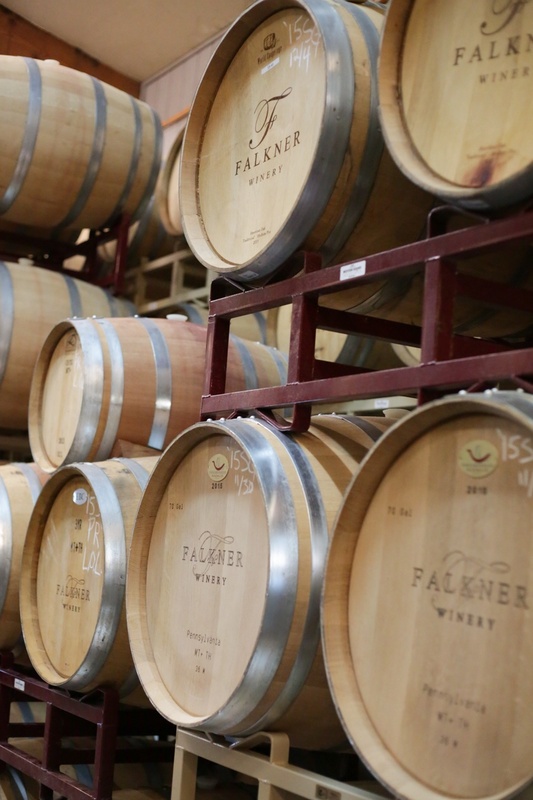 "When you realize how perfect everything is, you will tilt your head back and laugh at the sky"
Taking in the wine country breeze while sipping on some refreshing wine or eating a fresh meal from The Pinnacle Restaurant, are a couple of things to do while visiting Falkner Winery. 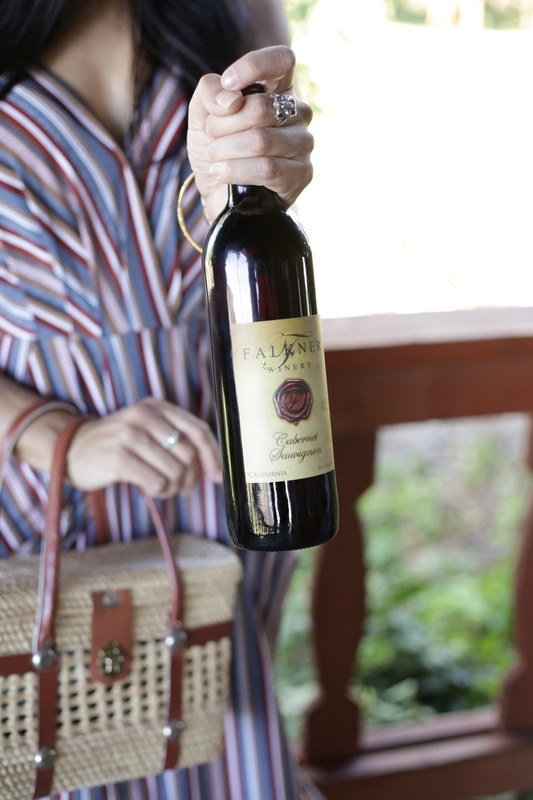 Stay tuned for part two of my Falkner Winery visit during Sunday Funday for their summer lawn game series!